Franklin James “Chub” Hamrick, 92 of Beech Bottom, formerly of Diana, went home to be with the Lord on Wednesday, November 28, 2018 at Valley Haven Geriatric Center. He was born May 09, 1926 in Logan, WV to Lacy and Zomie Smith Hamrick. He was a United States Army Veteran and was Christian by faith. 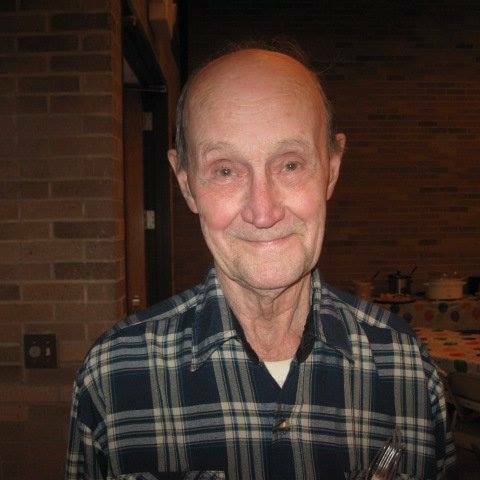 Frank enjoyed playing guitar, singing in church, and spending time with his family. He was a Deacon at the Guardian Union Mission church. He was a retired school bus driver for the Webster County Board of Education. Frank is survived by his children Lin (Brenda) Hamrick, Susie (Bob) Longamore, Charolette (Jason) Chambers, Frank (Kristen) Hamrick, and Miranda Hamrick; brothers George (Cheryl) Hamrick and Tommy “Skinny” (Ginny) Hamrick; sisters Maddie Dodge and Addie Atkinson; grandchildren Carri, Sandi, Kristi, Bo, Jayla, Joshua, Noah, Paisley, TJ, and Michael; 9 great-grandchildren; 2 great-great-grandchildren; and many other extended family and friends. He was preceded in death by his parents; first wife Midge McCourt Hamrick; second wife Veda Tracy Hamrick; son Timmy Hamrick; and 9 brothers and sisters. Friends may join the family for visitation on Friday, November 30, 2018 from 6:00 to 9:00 PM at Dodd & Reed Funeral Home. Funeral Services will be held on Saturday at 11:00 AM at the Funeral Home with Rev. Kenny Pritt and Rev. Larry Cochran officiating. Interment will follow in Harrison Cochran Cemetery, Grassy Creek. In lieu of flowers, the family requests memorial contributions be made to Dodd & Reed Funeral Home to assist with funeral arrangements. Dodd & Reed Funeral Home is honored to be serving the Hamrick family.